In this entry, we are proud to present a range of resources that have been in development for quite some time. Please note that the “Elements” Checklist includes information on each of the above (phonemes, graphemes, morphemes, etc), as well as additional notes on reading multisyllabic words and vocabulary development. All together, the resources are designed to provide reference materials that help one better understand the elements that contribute to word and sentence construction in English. They do NOT describe the activities that a learner can engage in to master these elements, though. As a result, these resources are not particularly helpful on their own, but they can be helpful when planning and reflecting upon the linguistic features that leaners need to master over time. So ... please explore and enjoy! And remember, this is only the tip of the iceberg. Even if a learner is making progress with mastering the structural aspects of literacy - such as learning to decode words, spell words and write grammatical sentences - there is still a lot of work involved in making meaning from and with the printed word. It is with great pleasure that we share another Activity Presentation. This time we explore Word Sorts. Word Sorts is a simple way to encourage learners to develop an understanding of the predictable patterns when reading and spelling English words. In short, each word sort activity requires learners to examine a set of words, and to sort (or categorise) these words into common patterns whilst identifying exceptions to the rule. This brief activity is designed to be done daily (or regularly) as learners "study" different sets of pronunciation and spelling patterns. In doing so, learners explore how to blend and segment various consonant and vowel sounds in simple to more complex words. By guiding learners from simple to complex structures, teachers can help learners make logical sense of word reading and writing in English. 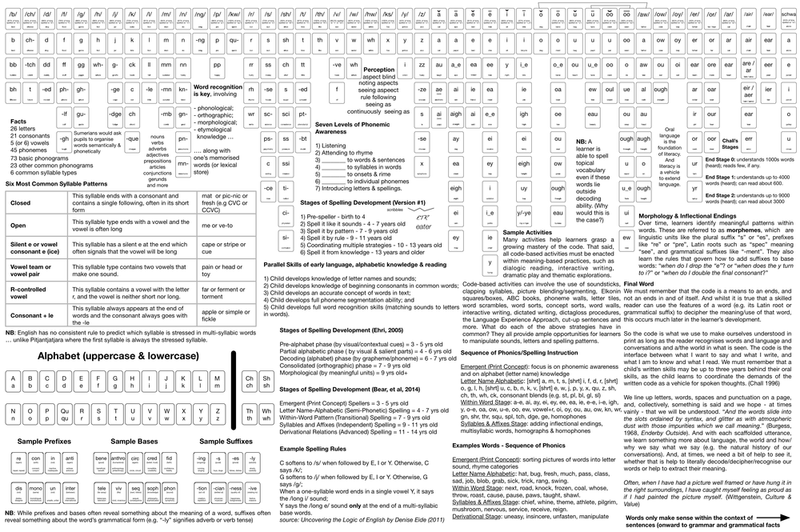 The Word Sorts (or Word Studies) can easily be organised in such a way that the resulting program is consistent with an evidence-based phonics sequence. Over time, students come to master the patterns of English phonology, orthography, and morphology, so they are equipped with the skills to rapidly and accurately read both known and unfamiliar words. Ultimately, we want children to decode with confidence and notice the patterns within printed words. As Mark Seidenberg observes, “for a beginning reader, every word is a unique pattern. Major statistical patterns emerge as the child encounters a larger sample of words, and later, finer-grained dependencies.” (Seidenberg, 2017, 92) “Readers become orthographic experts by absorbing lots of data … The path to orthographic expertise begins with practice practice practice but leads to more more more.” (Seidenberg, 2017, 108). You can also access the Word Sort - Activity Cards, which have been organised into key developmental stages. We encourage you to check out the book Words Their Way by Donald Bear and colleagues. It's a highly regarded educational resource with a thorough discussion of activities, developmental expectation and assessment tools. Bear, S., Invernizzi, M., Templeton, S., & Johnston, F. (2014). 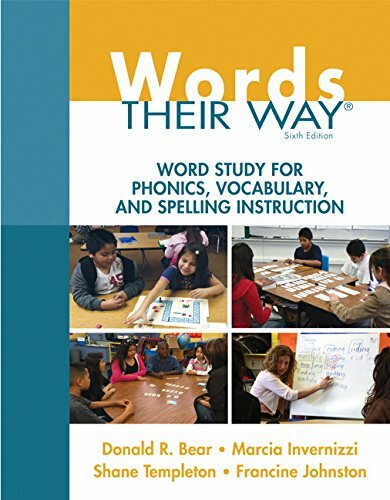 Words their way: word study for phonics, vocabulary, and spelling instruction (5th edition). Essex: Pearson. Also, please visit our Mastering the Code presentation, including the presentation slides. This presentation and its associated slides provide background research that will help you better understand the purpose of the activity. We hope the activity is a valuable addition to your practice. We welcome your feedback and ideas, so please stay in touch. Thank you for your time. Please explore and enjoy! Seidenberg, M. (2017). Language at the speed of sight: how we read, why so many can’t, and what can be done about it. New York: Basic Books. It is with great pleasure that we add a new type of resource to The Literacy Bug: Activities. Ultimately, we want children to notice the patterns within their oral language (e.g. in their words), so they are equipped with the fundamental skills upon which they can build more formal literacy (e.g. sound-letter correspondences). EXTRA: What do I hear? and what might I see? If you would like further background, please visit our Mastering the Code presentation, including the presentation slides. This presentation and its associated slides provide background research that will help you better understand the purpose of the activity. Focus on the use of words in rich, meaningful sentences. … And please note ... the activity can be done partially or in full, depending on the age and ability of the learners. … And it can be incorporated into many aspects of daily practices, whether this is around book reading, in the sand pit or with general word play. These and other bits of advice are discussed in the above video and associated resources. Today, we share "Mastering the Alphabetic Code" which is available below as well as on YouTube at https://youtu.be/dA4nt3rxTYM. This video is a presentation that outlines the key elements involved in learning to “master the alphabetic code”, such as phonemic awareness, phonemic knowledge, letter-sound correspondence, orthographic patterns, morphological patterns and automatic word recognition and construction skills. It emphasises the need for teachers to develop scaffolded activities that provide learners with the skills to succeed. The presentation slides can be downloaded at http://bit.ly/Mastering-the-Code. We highly recommend that you download the slides, since they contain many resources mentioned in the video. Please be patient during download. 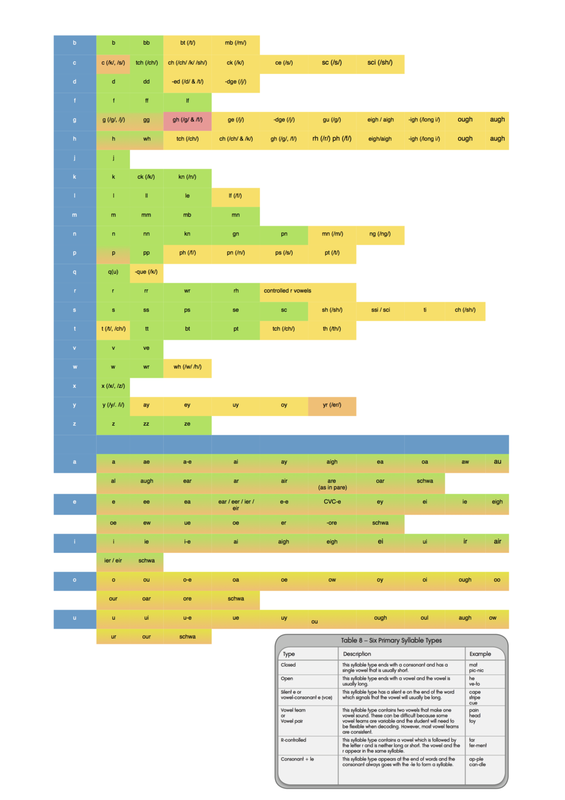 It's a large file, at least in PDF terms (20MB). Please explore and enjoy! And send us a message if you have any questions, comments or suggestions. In light of the most recent blog entry - Encoding, Decoding and Understanding (Print) Language - I've gone back to the archives to revisit an unpublished piece from the past. Whilst there are some rough edges, it is posted here as part of the ongoing conversation. The layout of the diagram to the lower right might seem odd when it starts with “the world” as the notion at the top and "form of life" at the bottom, but this is to suggests that language and literacy are learned in a particular context. And the context determines the language(s) one speaks and it determines what one is likely to speak about. Let’s say English is a language that is spoken in this environment. And - let’s say - that the word “Madagascar” exists in this world, and I hear the word “Madagascar” uttered in this place of the world. It also refers to a film (that I haven’t seen, but am aware of) and it is a type of vanilla (Madagascar vanilla), which I don’t know much about, either. There is a history to the word, and this history is its meaning. One points to a map to show me where the country is. One offers to watch a film with me. And one shows me a picture of Madagascar vanilla, and - perhaps - I have a chance to taste it. As long as I know that places, films and plants have names, then it is possible that I can know what is being referred to. I ask someone to say the word slowly, so I can have a go at writing the word, because if one is going to recognise the printed word, one must first be phonologically and phonemically aware of the word. I’m pretty confident the opening letter is M to represent the /m/ sound, since I intuitively know that the letter “m” represents the /m/ sound most of the time (94% of the time to be accurate, if you see the chart to the right/above). Similarly, I know the /short a/ sound when I hear it. Whilst the letter “a” represents the /short a/ 96% of the time, I only appreciate this from experience. To make a long story short, I know the word “scar” and intuit that the word ends with the same spelling. I could be wrong, but this is when one’s word knowledge helps one problem-solve new words. That said, I might have spelled it incorrectly, and I might need to consult someone or something (e.g. a dictionary) to see if I am on the right track. In the end, I heard a word, and I used my phonemic awareness skills to isolate the sounds. I used my knowledge of sounds-letters and my knowledge of words to spell it. If I didn’t have any of these attributes then I could be overwhelmed by the length of the word, etc. But I wasn't. Phew! For the time being, let’s say I recognise the word and I know that there is nothing quite morphological about the proper noun Madagascar. There are no meaningful prefixes, roots or suffixes which would assist me. Madagascar is an island country in the Indian Ocean. But a helpful person informs me that the letter “s” is indeed silent, and the opening letter “i” is a /long i/ syllable. In fact, the printed word “island” is familiar in the end. What a relief? The population of Madagascar is over 22 million people, and it spreads over 500,000 square kilometres. I recognise that the emerging paragraph is a geography paragraph and I anticipate that I’ll find out about the capital city of Madagascar, primary industries, natural sites and cultural practices. I know this because I am familiar with this genre of discourse, and I expect and value this knowledge. I intuitively am comparing this with a similar text I read/heard/wrote earlier. The earlier one was about the island of Taiwan, and I am interested to know the differences between the two island contexts. If I didn’t have this previous experience or background knowledge, then I might not be able to read/hear/write the new text as deeply or critically. I’m not really fussed by the poem, to be honest. And I don’t know why it starts with the phrase “so much depends / upon”. But my friend insists that the poem is meaningful. Even though I know all the words, and I can understand/imagine the scene, I am missing something. So my friend asks me to bring in a photo of something that is significant to me. When we meet again, we both come armed with a photo. My photo is of my late grandmother, and her photo is of a pier jutting out into a river at dusk. She reads out her poem. We do it again next week, and the week after, and I start to get the point. I find it peaceful just stating something meaningful. My friend and I might talk about the “meaningfulness” of the object in the photo, but these "meanings” or even descriptions are left unsaid in our poems. At some stage, she introduces me to haikus, and I find that I have a new way to relax. Every so often I stop and write or think or say “so much depends upon …” I didn’t understand the point at the start but I do now, and I have started to branch out into other forms/purposes of poetry. I’m really quite surprised. In fact, it takes on a form of meditation or secular prayer. Whilst I still need to draft reports and memos at work, I have another written outlet that extends what I achieve in print. I have learned a new "language game" - so to speak. And we communicate about something in some way to others. an experienced electrician is wiring up a new electrical system. The electrician knows what everything is called and what everything does, but quivers when someone hands him an installation manual full of words and abstract schematics. “Mate, I can’t makes heads or tales of that thing” as he points to the manual. “I know what I’m doing.” Is it the technical nature of the manual that catches him off guard? a philosopher is asked to wire up a new electrical system. The philosopher has no clue about electronics and quivers at the sight of the wires. Someone hands him an installation manual full of words and abstract schematics. After much effort, the philosopher eventually says, “Mate, I can’t makes heads or tales of that thing” as he points to both the manual and the box of wires. an average person who is familiar with electronics, but is in no way an expert or practiced, is asked to wire up a new electrical system. She has a strong grasp of literacy and she is able to process information accurately. She knows what NOT to do in relation to voltage and amperage. She is eventually able to get the job done with the help of the manual, a few YouTube videos, and a couple calculated phone calls. How would you go about explaining what is occurring in each of these scenarios? You may use the following diagram to help. Tomasello, M. (2003). Constructing a language: a usage-based theory of language acquisition. Cambridge: Harvard University Press. Wittgenstein, L. (2001). Tractates Logico-Philosophicus. Translated by D.F. Pears and B.F. McGuinness. London: Routledge. _____________. (1969). On Certainty. Edited by G.E.M. Anscombe and G.H. von Wright. Translated by D. Paul and G.E.M. Anscombe. New York: Harper Torchbooks. Please permit me to be abrupt ... at the start, at least. Isn't literacy merely the encoding, decoding and understanding of language? Simplistic though it may sound, print is the younger cousin of the much older member of the family. 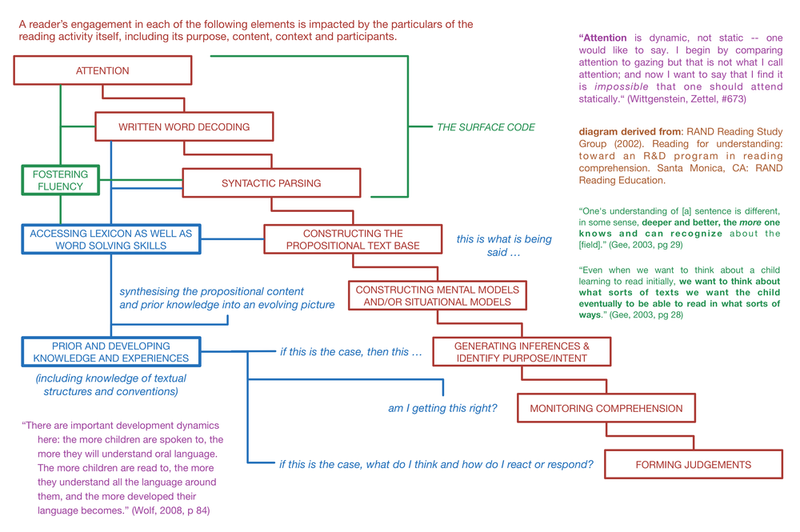 The above schematic addresses this rough relationship between language and literacy. 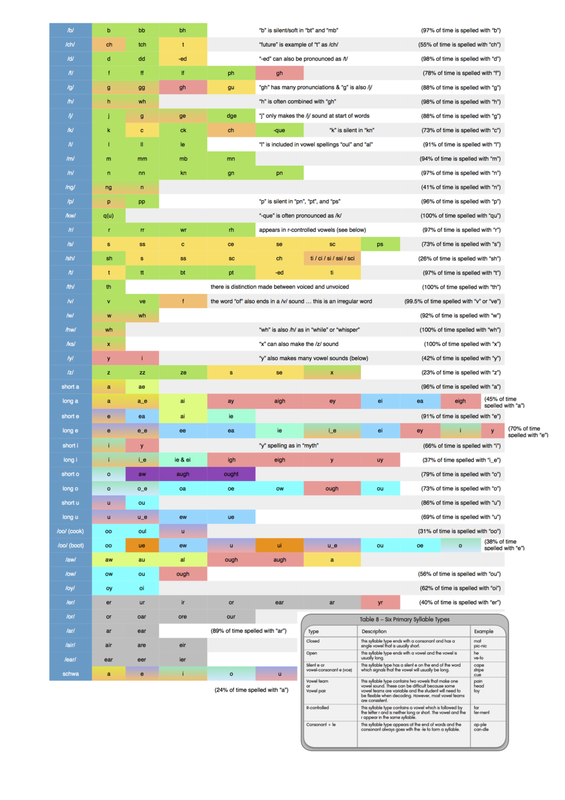 If one is developing the components of language - e.g. phonological, lexical, morphological, grammatical, textual and pragmatic skills - then the learning of “the code” serves to facilitate the transference of the learner’s speech into print, which itself can serve as a platform upon which further literate language can be built. In this case, the code is the interface between language and literacy, and this code requires that learners develop additional skills in order to coordinate and manipulate language-in-print. From an early age, a child is learning language, but this child will only slowly develop an awareness of print. By age 6, a child will know thousands of words in oral language, but only know a few - if any - when read (Chall, 1996). This rich oral language provides ample stimulus for learners to begin exploring known (oral) words in print. In the coming years, the child’s oral language will continue to be stronger than what he/she can express on the written page. It is only at 13 years of age that your skilled readers are as competent in oral language as they are in literacy. By 15 to 17 years of age, print (finally) overtakes oral language. At this stage, a learner is apt to be better equipped to explore complex ideas on the page than verbally, particularly if the learner has a strong corpus of academic language. Across this prolonged developmental period, learners become increasingly more adepts and fluid in navigating and representing ideas in literate language. The remainder of this entry will sketch some thoughts that may come to impact how we approach the encoding, decoding and understanding of literate language. I enter into the discussion with a profound appreciation of print’s older cousin, even though we will not discuss the specific uses of language here. Isn't it logical to analyse known words, and harness a learner's phonemic awareness to become adept at anticipating how to spell such-and-such a word which is already familiar to the learner? And - then - provide scaffolded opportunities for learners to monitor their own speech to use this skill in their emerging writing? Can't we leverage oral language and visual prompts as vehicles through which the learners become curious about words, the sounds in words and how these sounds and words are represented in print? We return to the meaning of the word, and of using the word in context. If a child can recognise all the letters of the alphabet (26 items), what's stopping him or her from memorising all possible English phonemes (45 items, give or take one or two)? And then using this knowledge to "phonemically spell" words that are part of the learner's oral language vocabulary? Sounds logical to me. We ask kids to memorise the alphabet. Why don't we ask children to remember and apply all possible phonemes in English? This is effective up to a point. The learner becomes adept at monitoring external and internal speech, and the learner develops a process to more rapidly represent this speech in print. Over time, the learner will process this information more rapidly as he/she recognises certain words and word patterns as whole units. For the time being, the learner is discovering the language-to-print connection, which is a step toward the writing-to-reading connection. Eventually, the tables are turned, though. It is no longer enough to be able spell words by relying upon the stimulation of internal and external speech. The learner will need to decode words that are presented first in print. The learner will need to derive oral language from print, which will require that he or she recognises regular patterns, such as phonics patterns, syllable constructions, sight words, word families, morphological regularities and more. By 6 - 7 years of age, a child is experiencing direct instruction in letter-sound relations (phonics) as well as practice in their use. He or she is reading simple stories using words with these phonic elements as well as high frequency words. By ages 7 - 8, direct instruction extends to include advanced decoding skills along with wide reading of familiar, interesting materials that help promote fluency. Meanwhile, the child is being read to at levels above their own independent reading level to develop language, vocabulary and concepts (Chall, 1996). The child should be motivated to extend themselves in relation to both expressiveness and comprehension. Do I see the word(s) and attend to the word(s)? Do I recognise it/them as one(s) I know? Do I recognise it/them immediately or do I need to decode it/them? Can I begin to guess it/them based on context and other cues? Do I simply recognise it/them or can I also sound it/them out? Can I allocate sound(s) to individual letters or letter combinations (e.g. graphemes)? Can I refine how the word or words are read in syllables and use my knowledge of patterns to read more proficiently and meaningfully? Can I recognise the word or words along with words around it/them (if applicable)? Can I re-read the word or words and the sentence (if applicable) with expression and confidence? Do I consider the meaning of the word, the current utterance and other potential utterances? Can the learner begin to develop a more systematic understanding of how English words work? In this model, learners become familiar with letter-sounds after they are supported to navigate sounds-to-letters. Furthermore, one is exploring language well before this or - at least - alongside this study. Upon recognising words from a string of letters and/or sounds, and pictures/intentions from a string of words, then there is hope that learners can process that which has been portrayed within the coded text as well as in the spoken stream. There is hope that one is informing and being informed; is entertaining and being entertained; is greeting and being greeted; etc. At this point, it is no longer enough to merely encode, decode and understand basic texts. One needs to encode, decode and understand diverse texts rapidly and accurately in order to read with enough fluency so as to make way for deep comprehension. This requires the learner to coordinate a range of skills, including attention, perception, language knowledge, background/contextual knowledge, phonemic awareness, phonics knowledge, word/morphological pattern recognition, sight word memory, grammatical knowledge, knowledge of text types and the ability to anticipate/select language based on this prior experience. In this case, there is a text (perhaps spoken, maybe written). I recognise language/words in it (at least most of them). I know the context and the purpose of the text. I know what to look for. There are words that I may need to define in context or have explained to me. I can follow the logic/context, though. I can piece it together to make some logical whole. There are certain occasions where I may get stuck. For instance, I might need to clarify unfamiliar language. I might get stumped by a turn of phrase or two. I might lack some background knowledge or experience. I may just miss the point altogether. I may need the meanings of things explained to me. (What should I be thinking when I read this? What is meant/intended here?) Or I might need help sounding out more complex or unfamiliar terms. What I need most is daily practice which can lead to discoveries about the world, about language and about literacy. When we process literate language, we process surface features for recognition AND we process deeper features to extract meaning. This is portrayed in the above Iceberg Metaphor. A significant amount of experience is required to read and write in this meaningful manner. Without this, reading is like looking through a muddy window; you need to strain too hard to see clearly; you can only see things in bits, if at all. However, even if the window is clear (e.g. decodable) you still need to know what you are looking at and what you are looking for. This reminds me of two parallel experiences of "learning to read". This first involved my stuttering attempts to read in a foreign language, albeit Spanish which shares many common features to English. My lack of vocabulary and insufficient grammatical knowledge meant that I regularly lost my train of thought when reading even the most basic of paragraphs, which - if presented in English - would have been easily comprehended, leaving much space to interpret and apply the information. However, in Spanish, I could not confidently interpret what I was reading, because I lacked confidence and clarity in exactly what I was decoding. I lacked adequate language knowledge. A much different experience involved the poetry of e.e. cummings, a poet I adore but who I needed to learn to read ... or - rather - make sense of. In the case of e.e. cummings, I could easily recognise the language, yet it took time to make sense of cummings' innovations with linguistic and poetic forms. It took time to realise the intent behind his innovations, and to come to appreciate how he wanted me - his audience - to feel, think and envision. In order to better understand this latter experience, please explore the essay "To understand, you need to part of the conversation". In practice, reading requires limited background knowledge in the earlier years and substantial background knowledge and concepts as one progress through adolescence into adulthood. What's the story, then? Our expectations change across time. That much is obvious. Diligence, scaffolding, practice and challenging experiences are required. Nothing more, nothing less. Chall, J. S. (1996). Stages of reading development (2nd ed.). Fort Worth: Harcourt Brace Jovanovic College Publishers. Saarnio, D. A., Oka, E. R.,& Paris, S. G. (1990). Developmental predictors of children’s reading comprehension. In T. H. Carr & B. A. Levy (Eds. ), Reading and its development: Component skills approaches (pp. 57–79). New York: Academic Press. Snow, C. E., Barnes, W. S., Chandler, J., Goodman, I. F., & Hemphill, L. (1991). Unfulfilled expectations: home and school influences on literacy. Cambridge, MA: Harvard University Press.